Enjoy our holiday park’s unique location in Portarlington by Port Philip Bay, just 100km from Melbourne with large private sites and lots of accommodation options. A quiet family park within metres of the beach. Our park features fully self-contained one or two-bedroom family, budget, deluxe & villa spa ensuite cabins. Close to some great fishing locations & charter operators, a chip shot to fine golf clubs, wonderful restaurants & some of Victoria’s finest wineries. 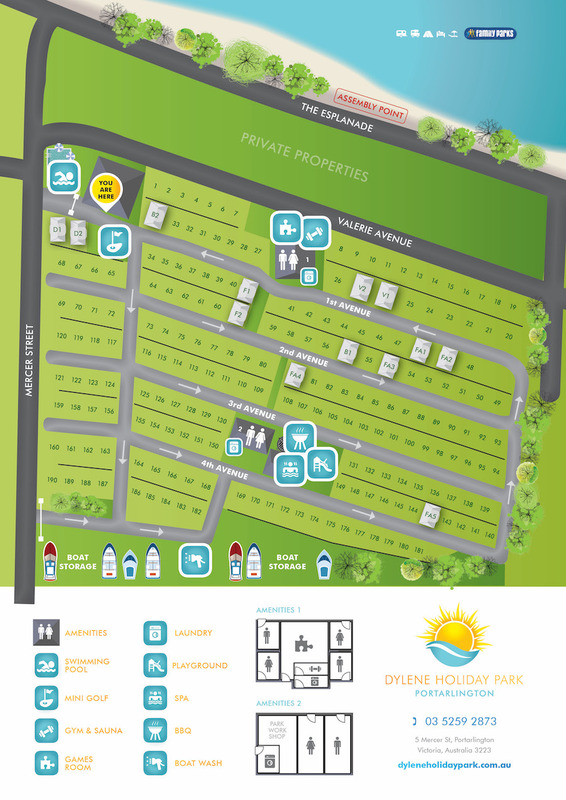 Dylene Holiday Park is located on the beautiful Bellarine Peninsula just 1 hour and 30 minutes from the heart of Melbourne by road or a ferry ride across the bay from Dockland, 30 minutes to Geelong and Queenscliff by road. 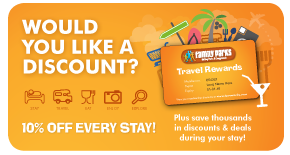 The park features multiple accommodation options – with fully self-contained one or two-bedroom family, deluxe, budget, and spa villa ensuited cabins. You can rent one of our cabins or park your own caravan and enjoy the charm of the Bellarine Peninsula where there is something for everyone. We have a range of activities to occupy the kids and the young at heart including our swimming pool, mini golf, heated indoor spa, gym, sauna, children’s playground, kayak hire, SUP hire, games room – with pool tables, table tennis and arcade machines, barbecue area, kiosk and guest laundry. We are close to some great fishing locations, charter operators or launching ramps. Don’t forget your golf clubs with stunning coastal views, the Bellarine Peninsula offers 10+ courses, 6 of which are in Australia’s top 100. 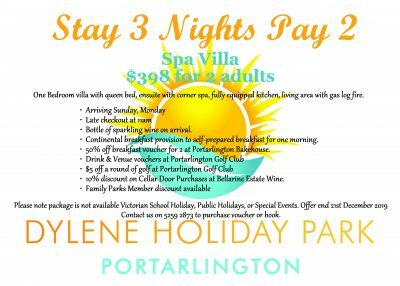 Wonderful restaurants, some of Victoria’s finest wineries and is within easy reach of all of the Bellarine Peninsula family attractions.